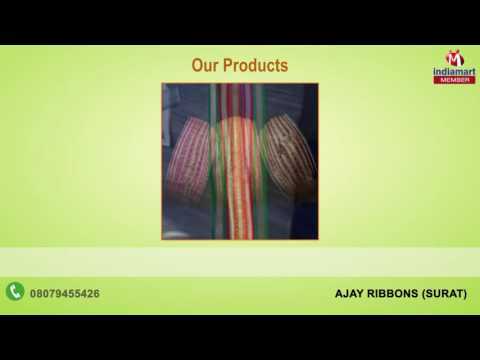 Established in the year 2006, we, Ajay Ribbons, are a reckoned manufacturer, trader and supplier of Tapes & Laces in Gujarat. Our product range is Fancy Ribbon, Simple Lace & Velvet Lace. All these products are designed and stitched by making use of finest grade fabrics, zaris, threads and other material that are sourced from reliable vendors of the market. Widely appreciated for their alluring designs, finesse, stretchability and colour-fastness, our products are widely demanded among clients. Available in variegated designs, colour combinations, lengths and patterns, these products can be used for enhancing the beauty of clothes, gift wraps and home furnishing items, among others.